This is the second weekly ownCloud community update, catching up to the state of affairs from May 12 to 18. These updates pull together activities from development mailing lists, blogs, coding work and everything else community members share with us. Tips are very much welcome! Ping Jos with your input. 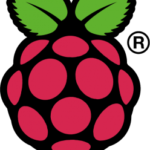 Biggest things last week were the release of the ownCloud desktop client 1.6.0 RC12, the updated ownCloud 7 release plan and an updated ownNews reader app for BlackBerry 10. You can read a report on the first two weeks of May here. Starting with coding, this week saw many bug fixes but also work on some new features. The files sidebar was merged, several apps were moved to their own repository and Frank announced an updated ownCloud 7 release plan. Sysadmins can now enforce passwords for public links shared by users. The files sidebar was merged. According to Vincent, there is still work to do to make it look good in all resolutions and on mobile devices. Read the pull request for a screenshot or two of the work in progress. Some UI improvements to the admin settings for default expiration dates have been merged. There have also been the usual code refactoring and cleanups as well as changes to benefit the app developers. Last friday, Frank mailed that the development- and release schedule of ownCloud 7 has been updated. Feature freeze is coming on June 6th, so get your code in before then and start planning for stabilization and polish of the code! The iOS team has started to look into background uploading in the iOS app. On May 15, the test pilots were supplied with 1.6 RC1 of the ownCloud desktop client, shortly followed by RC2. This release mostly brings bugfixes and can really use some serious testing! Get it here. 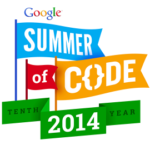 Alessandro Cosentino wrote a blog about the GSOC and Outreach Program for Women projects for this year. Adam Pigg shared that the ownNews newsreader for BlackBerry 10 has been updated, supporting the new news app and fixing some bugs. Last but not least, a reminder about meetups. For those of you living in or close to Berlin or Munich, there will be a meetup every third Wednesday of the month. We had our first last night in Berlin, with a dozen ownClouders getting together at c-base for Club Mate and hacking. ownCloud meetups are about getting cool stuff done: improving ownCloud, learning new things or writing new apps. Details about Berlin and Münich. If you know of other (regular or not) meetups, let me know! 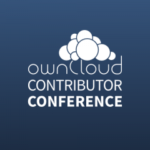 Stay up to date about new ownCloud features and releases. You successfully signed up for our newsletter. Please check your inbox to confirm your email address. There was an error. Please try again later. We're sorry for the inconveniences. GDPR Disclaimer: By submitting this form, you are granting ownCloud GmbH permission to contact you.